Asia Triennial Manchester launches today! Asia Triennial Manchester 2014 (ATM14), the only Asian Art Triennial outside the Asia Pacific region, opens 26 September to 23 November 2014 in Manchester, UK, with a vibrant and exciting showcase of the foremost contemporary visual art from across the globe. Asia Triennial Manchester 2014: Conflict and Compassion investigates whether the role of the 21st century artist or curator may be, in part, to provide a voice for the unheard, a message to the dominant, or even to demonstrate some kind of sympathetic vision of values through the visual. In all these respects, art is itself at once conflicted and compassionate. Focusing on artists who live in, work in or address issues surrounding Asia, the next Triennial considers how we might begin to think about art of or in Asia within a framework of conflict, in the widest possible context. For ATM14, MIRIAD is working with IWM North to present an exhibition with celebrated, internationally-renowned and UK based artists who have been commissioned to respond to the theme and IWM North’s unique architecture and archives to create new work or show work not seen here before. This will be the first time that IWM North has been part of the ATM and our programme in Manchester will also link with other IWM Museums nationally. The commissioned/featured artists are: Alinah Azadeh, Zarina Bhimji, Shezad Dawood, Sophie Ernst, Shamsia Hassani, Bashir Makhoul, Nalini Malani, Aman Mojadidi, and Imran Qureshi. Further artists are also contributing via the ATM Collaborations Learning and Engagement Programme. In addition to IWM North, a programme of exhibitions, films, events, talks, workshops pop-ups and drop-ins has been developed by and with our partner organisations. ‘Harmonious Society’ will be presented at CFCCA and also at ArtWork, The John Rylands Library, Manchester Cathedral, Museum of Science and Industry, National Football Museum and artists include: CHANG Huei-Ming, CHEN Chieh-Jen, CHEN Wenbo, CHENG Ching-Yuan, HE An, JIN Feng, KAN Xuan, KAO Jun-Honn, LEUNG Chi Wo, LEE Kit, LI Wei, LIU Jianhua, LIU Xiaodong, Luxury LOGICO, PAK Sheung-Chuen, TOF (JIN Feng and DING Li), WAN Lai-Kuen, WANG Sishun, WANG Yin, WANG Yuyang, XU Qu, YANG Zhenzhong, YAO Jui- Chung, Samson YOUNG, ZHANG Peili, ZHAO Yao, ZHENG Guogu, ZHOU Xiaohu, YAN Bing, YUAN Gong, ZHUANG Hui and DAN’er. The following artists are being presented at our other partner venues: Bury Art Museum – Hsiao-Chi Tsai & Kimiya Yoshikawa, Castlefield Gallery – Hardeep Phandal; Dark Borders Development at IWMN – Pop up Republics featuring Chen Jieh-Jen, Daksha Patel & Siddarth Ramakrishnan; Manchester Craft and Design Centre – Kashif Nadim Chaudry; Touchstones Rochdale – Rosa Nguyen; and at The Manchester School of Art, Manchester Metropolitan University – 12 artists MORE HERE?. Cornerhouse is also presenting the official film programme for ATM14 with several UK and European premieres and filmmaker Q&As. Every three years, Asia Triennial Manchester (ATM) offers the public the opportunity to experience the very best of Asian contemporary visual culture created by artists currently working globally. 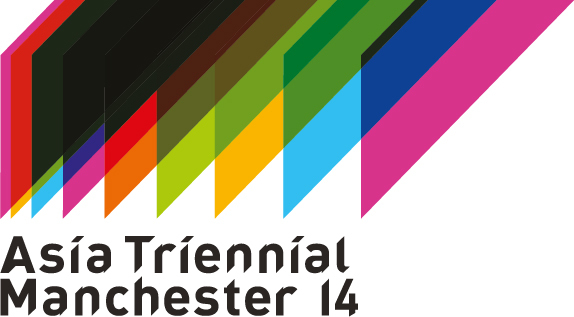 Asia Triennial Manchester is established as the only Asian art triennial outside Asia. Its success is demonstrated by the calibre of the artists involved previously including Subodh Gupta (ATM08) and Rashid Rana (ATM11). 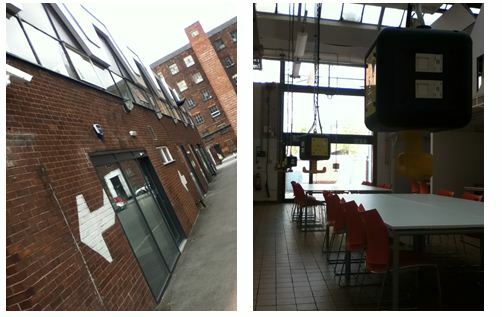 Now located within MIRIAD at Manchester School of Art at Manchester Metropolitan University, ATM contributes strongly to Manchester’s ambitions to be a ‘Culturally Distinctive’ and ‘Culturally Connected’ city with an international reputation for its arts and culture. To date, ATM has attracted over 350,000 visitors with more than 7.5 million viewing public realm work. ATM brought together six venues in 2008, increasing to 18 in 2011 including non-traditional arts spaces such as Jodrell Bank Centre for Astrophysics and Manchester Cathedral plus collaborations with four universities. It has been supported by more than 41 UK and international organisations, including partnerships with commercial galleries. To date, ATM has delivered 58 new visual art and craft commissions, performances and film, exhibited over 380 days, featuring 52 non-UK and 50 UK artists. It has always attracted established and emerging Asian artists at the forefront of their careers to the UK. The trailblazing Rusholme Project in 2007 created new site-specific public artworks for the first Manchester International Festival. In 2008 the Festival focused on the artist as ‘protester’ presenting site-specific commissions at six venues. In 2011, the theme was ‘Time & Generation’ featuring the work of 54 artists, collaborating with 18 partners presenting 35 new works, seven film premieres, and four dance performances in Greater Manchester and Cheshire. ATM’s education and community programmes have already engaged over 1560 participants, more than half from BME communities. In 2011, the Festival generated economic activity in excess of £12m and over £5.9 million in economic impact within Greater Manchester. Categories: Events, Impact and Engagement, Knowledge Exchange, News | Tags: Art, Engagement, Events, Impact | Permalink. The aim of the call is to explore the potential for digital environments to facilitate collaborative research and dialogue between practice-based research in the arts and other forms of research in the AHRC disciplinary domain. 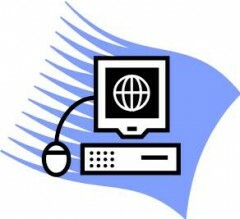 Current developments in digital technology and the issues presented by the growth of information offer many opportunities for practice-based researchers in such disciplines as dance, visual arts, drama, music and contemporary arts practice to engage in innovative collaborations with researchers in arts and humanities disciplines, including history, classics, philosophy, English language and literature, linguistics and modern languages. The present call will fund a group of playful, challenging and thought-provoking projects in which practice-based researchers work with colleagues in other disciplinary areas to explore and reflect on how our use of digital technologies is transforming engagement with both past and contemporary cultures and societies. Projects should be innovative, ambitious, and have truly transformative potential for the Arts and Humanities, and for the continued development of the Digital Transformations theme . To achieve the desired orginality and innovation from these awards AHRC would particularly like to encourage projects of a speculative nature exploring emerging areas of technological transformation which include an element of risk within them. Proposals should be clear about the risks involved, and show that they have been considered carefully and explain how they will be addressed within the project. This Small Grants call is open to all applicants with research ideas that have relevance to Digital Transformations and speak to the core aims of the theme. Projects must include collaboration between practice-based researchers and researchers from other disciplinary areas relevant to the AHRC. c) Proposals that build upon work from a previous project by taking that research in a new direction. This could include: developing co-creation with researchers from non-academic organisations; introducing an international element to the research; creating new cross-disciplinary collaborations; developing performances, installations or other practice-based activities from the earlier research. 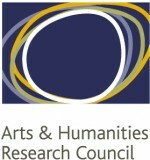 Categories: Funding Opportunities | Tags: AHRC, Arts, digital, practice | Permalink. 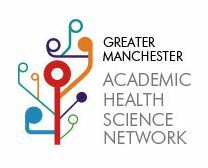 Colleagues are invited to a GM AHSN (Greater Manchester Academic Health Science Centre Network) Launch Event on 10.00-12 noon, Friday 26th September to discuss the funding available through the GM AHSN for the Technology Innovation Challenge. The focus of this competition will be “Nutrition and Hydration” with emphasis on those projects which may be able to demonstrate impact in additional safety topics e.g. AKI / Sepsis / Pressure Ulcers. ultimately enable them to benefit patient care faster and more effectively. This competition will be run across the GM AHSN, specifically targeting the Universities (Bolton, Manchester, Salford and MMU) and open to SME’s (via Bionow) and other GM AHSN members (via the GM AHSN CoLab portal). Colleagues from Manchester and Salford University and a number of SME’s have been invited to attend this event and there will be a chance to network after the presentations. Categories: Events, Funder Intelligence and Policy, Funding Opportunities | Tags: Event, Health | Permalink. After a sold out Urban Psychosis event at MMU’s Holden Gallery and with the run up to World Mental Health Day on 10th October – Dr Kat Taylor writes about the concept of Psychosis in relation to the ‘Psychosis in Context’ event at Liverpool Psychosis Research Unit. MMU’s Holden Gallery’s latest exhibition, Urban Psychosis, showcased art exploring urban living. Higher rates of psychosis found in cities have been identified in research, and explored in literature. More recently, Will Self has considered city-dwelling and our device-reliant minds, which he discussed to a sold out audience in the gallery in July. Professor Read presented a range of evidence demonstrating that psychosis is primarily a result of environmental factors and experiences (e.g. Hamilton, 2008; Kirkbride et al. 2012; Varese et al., 2012). 30 years ago, the relationship between ‘schizophrenia’ (or ‘psychosis’) and poverty was described as ‘one of the most consistent findings in the field’ (Eaton, 1980). Additional predictors of psychosis include neglect, trauma, abuse and being in a minority in the community. Professor Read illustrated that the idea that ‘schizophrenia’ is a genetically based brain disease is a damaging misconception, easily undermined by a host of research demonstrating the overwhelming role of environment and experiences in shaping who develops psychosis. When animals show distress we look to their environment and their carers; we understand their behaviours and moods as responses to stress. People around the world tell researchers that they believe distress is caused by what happens to us. Yet, illness models remain influential, despite widespread criticism that nineteenth-century classification systems are unscientific and invalid, and concern over the actions of pharmaceutical companies who supply medication. Instead of asking why or what happened, people’s experiences and responses are treated as conditions to be ‘identified,’ diagnosed and medicated, with harmful side effects. In fact there is a poor evidence base behind psychiatric diagnoses. Professor Read told the audience that those who believe the primary causes of human distress or dysfunction are biological represent a powerful minority. He criticised hierarchies that allow these models to dominate mental health systems and wider narratives around mental health. 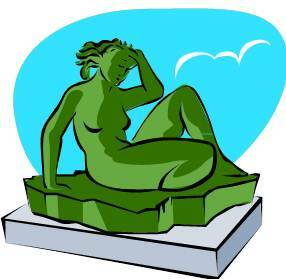 Peoples’ difficulties arise in complex patterns that reflect their experiences and appraisals. An individuals’ psychosis can always be understood, in context. Often people are relieved to discover that their ‘symptoms’ are understandable reactions. Such understanding is complex but realistic, and is central to several organisations which are instrumental in improving ways of working with people psychosis (see below). The user-led Hearing Voices Network advocates that people engage with their voices in order to understand their purpose. Moreover, there is little action available (or desirable) in terms of the hundreds of genes that might contribute towards developing psychosis; there is a great deal that can be done to tackle social root causes of psychosis. The detrimental effects of unequal societies are well-documented in the book, The Spirit Level (Wilkinson & Pickett, 2010). Psychosis might seem strange, but it isn’t. Exaggerated or dysfunctional psychological reactions to significant stressors is in human and animal nature; it is not a disease and it is unhelpful to approach treatment in this way. Psychosis is used to refer to a wide range of experiences, broadly; disordered thoughts that disrupt a person’s typical functioning. It therefore might describe phenomena including visual hallucinations, hearing voices, intense paranoia, or a firm attachment to delusional beliefs. 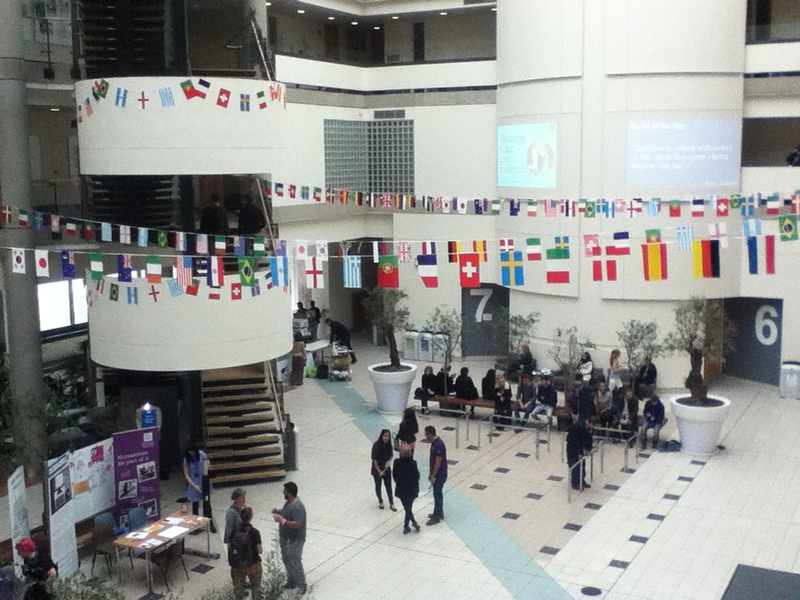 8th October – Events at MMU for World Mental Health Day. MMU will hold a series of lectures and stalls in the Geoffrey Manton Atrium and Lecture Theatre, in a day focusing on ‘Overcoming Psychosis’. READ, J., SANDERS P. (2010). A Straight Talking Introduction to the Causes of Mental Health Problems. PCCS Books. GEEKIE, J., READ, J. (2010). Making Sense of Madness: Contesting the Meaning of Schizophrenia. Routledge. Categories: Events, Impact and Engagement, Knowledge Exchange, News | Tags: Arts, Health | Permalink. THE Research and Knowledge Exchange Office is flagging opportunities for research funding via monthly newsletters. Every school/department has its own tailored bulletin and the latest edition has just been published. Each edition contains the details of the current external funding opportunities available in your subject area, complete with closing date and award amounts. Your newsletter was emailed direct from alerts@researchprofessional.com so look out for this in your Inbox. If you see a funding opportunity that you would like to apply for please contact the member of the RKE team that covers your area. The Research Development Managers will support you through the grant application process by facilitating and providing professional advice to identify suitable funding streams, the application process, costings and authorisation procedures. The University has a campus wide account so you can access the Research Professional site from any networked PC on campus. For a more detailed list of funding opportunities, why not create your own customised searches and receive weekly email alerts tailored to your specific subject area. 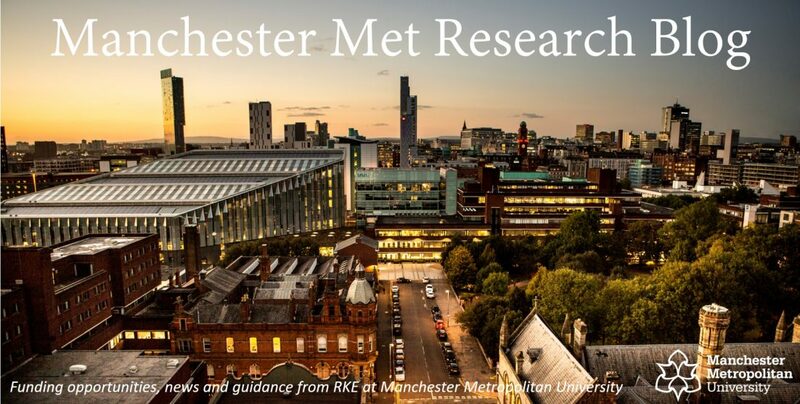 All academic staff are registered on the Research Professional site and your default username is your MMU email address. If you do not know your password, you can request a new one via the Log In page. Once logged in you can edit your details and change your username and password. For more information about how to get started visit the Quick Start Guide on the Research Professional site or watch an online demo. When logged into your Research Professional account, the system allows you to register your interest to apply for funding opportunities. If you see a funding call you are thinking of applying for, simply open the call and select the ‘Express Interest’ tab on the right hand side of the call page and a member of the RKE team will get in contact to see if you need any assistance with the application process. Categories: Funding Opportunities | Permalink. Exploring the extent to which intuition is part of the decision-making process during New Product Development (NPD) and characterising its nature within creative companies. ‘Gut feeling’ is often understood to be an implicit part of creative designing yet its process has not been closely observed and is little understood. Designers think of themselves as intuitive, and they are expected by employers to behave in intuitive ways when designing consumer goods. This research aims to make such gut feeling and its value explicit by developing the views and experiences of practicing designers and those closely linked to design within small firms. This has included the recording the recollections of selected intuitive tracks or themes within early stage designing of products. The study has established the places of gut feeling in practical design decisions and produce original research material about entrepreneurism, risk and small UK enterprises. Gut feeling ‘hindsight stories’ have been recorded from designers’ and those closely associated with design and NPD. Within each case study company this has captured critical details of the start, evolution journey, lifespan and geography of selected critical intuitive decisions. This research is important because it provides new knowledge about designing, the design process and participatory research methods. It will also increase the capability of participating companies and their designers to achieve a balance between the use of intuition and risk assessment in the development of new products. The direct relevance of the work is potentially seen in both designers’ on-going work and in the collaborating companies increased understanding of intuition and risk. If you would like to attend, please RSVP to L.Wright@mmu.ac.uk as soon as possible, letting us know how many places you would like to book and whether you have any dietary or accessibility requirements. Full details of the event schedule will be sent to you very soon. We look forward to meeting with you and enjoying an informal late summer discussion of Gut Feeling in the design and development of new products. …also next Friday – the RKE Friday Socials are back with a bang! The RKE Social is back with a bang on Friday 26th September! Refreshed, renewed and invigorated by a subtle twist that will see our last Friday on the month get togethers (very loosely) themed around current research and knowledge exchange agendas. First up – Co-Creation and the art of working in partnership with end-users in the design and delivery of research and knowledge exchange. This event is being appropriately hosted within Digital Innovation’s new home in The Shed (entrance behind the Faculty of Science and Engineering’s John Dalton Building) , John Dalton West (no.2 on the campus map). We’ll be there from 4pm and we’re delighted to announce that we’ll be joined by Dr. Timothy Jung who will talk us through his augmented reality research including a demonstration of Google Glass. We’ll also be joined by Digital Innovation’s founder Paul Bason who will give us a quick tour of the wonderful new facility and Jane McFadyen from the Manchester School of Art who is going to show us how knitting is a metaphor for engaged research. And of course, we’ll also be providing all of the usual RKE Social activities including the honesty bar and of course a chance to kick-back, relax and catch up with new (and old) colleagues at the end of a no-doubt busy working week. Please note this event is just for MMU Staff. Categories: Events, News | Tags: Event | Permalink.